Apple's next three models of the iPhone -- the iPhone 8 and two updated versions of iPhone 7 -- will sport a long-awaited feature: wireless charging, according to an industry analyst with a track record of being right about the company's plans. The new iPhone models, which are expected to come in 4.7-in, 5.5-in and 5.8-in form factors when released later this year, will also sport a new 3D Touch feature and an OLED display, according to Ming-Chi Kuo, a financial analyst for KGI Securities. 3D Touch allows users to press harder on the screen to launch actions, such as replying to messages or animating live photos, instead of only selecting applications. Kuo also expects the iPhone 8 -- if that's what Apple decides to call the new model (see artist rendering above) -- to come in an all-glass case, with a flexible, higher-resolution OLED display and a "thinner form factor." Kuo, who reports on the Asia-Pacific region, is not just any analyst. The Apple-focused news website and community Cult of Mac, once called him "the most reliable voice on all things Apple...because his ability to accurately prophesy Apple's future product plans is unparalleled." First reported by MacRumors, Kuo's research note indicated that wireless charging increases the internal temperature of smartphones, which will require the iPhone 8 with an OLED display and glass casing to have a new 3D Touch module with "additional graphite sheet lamination" to keep it from overheating. "While we don't expect general users to notice any difference, lamination of an additional graphite sheet is needed for better thermal control and, thus, steady operation; this is because FPCB is replaced with film, which is more sensitive to temperature change of the 3D touch sensor in OLED iPhone," Kuo wrote in his research note. Previous MacRumors reports indicate the iPhone 8's additional features could bump the cost of making the smartphone from 30% to 50% higher -- pushing its sale to more than $1,000. This is not the first time industry analysts have speculated that Apple is about to embrace wireless charging for the iPhone. Last year, market research firm IHS predicted that Apple would introduce some form of wireless charging on the iPhone 7. If the latest prediction pans out, Apple would be following other smartphone makers, many of which offer wireless charging on at least some of their models. Three years ago, the Windows Phone 8-based Lumia 920 smartphone introduced wireless charging. Then Samsung launched dual-mode wireless charging on its Galaxy S6 and S6 Edge phones. The three major wireless charging industry groups have adopted a form of resonant wireless charging, which allows a more "loosely coupled" approach where handsets can be several centimeters away from a charger or placed at any angle on a charging pad. For example, AirFuel Alliance's Rezence-specification allows charging from across several centimeters and allows for the use of a charging bowl or charging through a desktop. There's also uncoupled charging technology, where powering up devices through Wi-Fi, for example, sends low levels of power (typically less than 1 watt) across a room. Apple, however, may choose to use its own proprietary form of wireless charging, as it did when it introduced an inductive, wireless charging solution in 2015 on the Apple Watch. 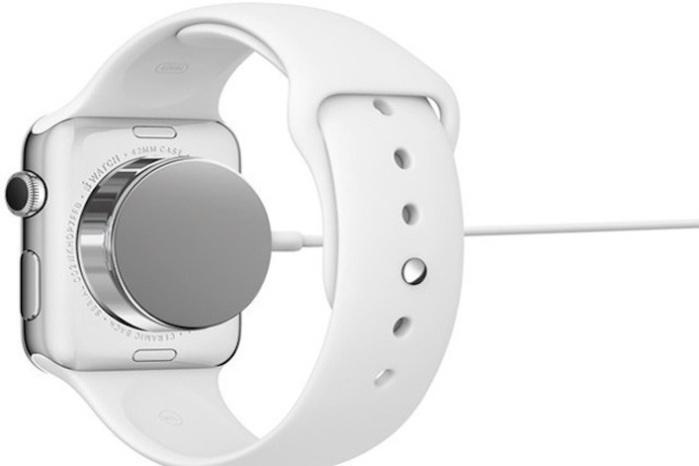 The Apple Watch, launched in 2015, uses a proprietary form of inductive wireless charging. Unlike resonant wireless charging, or loosely coupled wireless charging, inductive charging requires direct contact with the device as well as a more precise positioning on the charging pad.